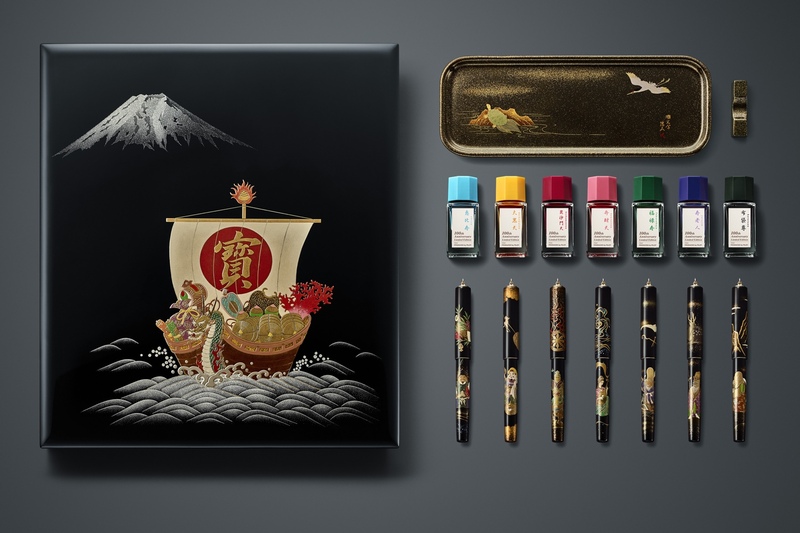 We’re incredibly honored and proud to be carrying the Visconti Limited Edition Opera Master Crimson Tide as an exclusive offering at GouletPens.com. Visconti has done it before in gold trim, and we’re going to have 20 of the black ruthenium trim. 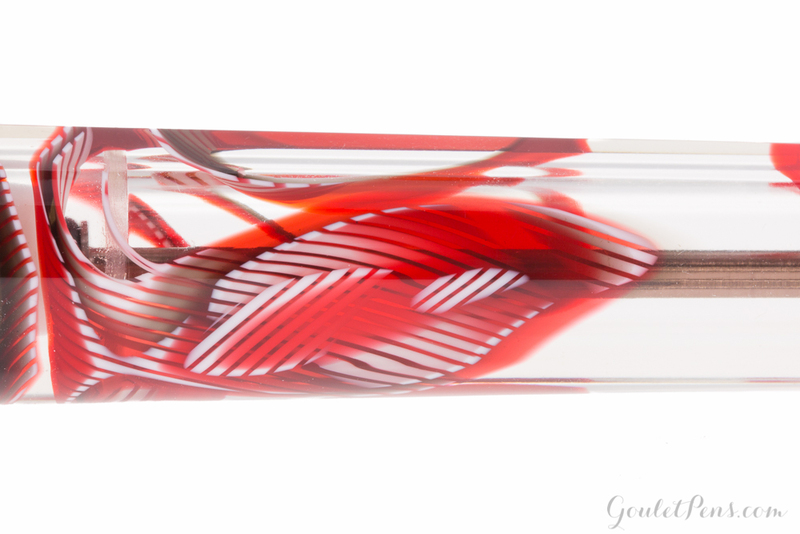 Waves of cream and crimson red resin envelop the translucent acryloid. 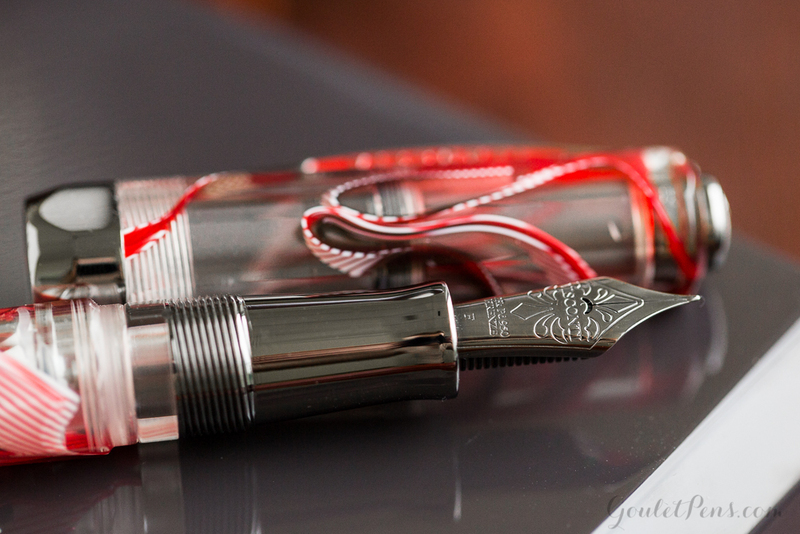 The Opera Master Crimson Tide with Black Ruthenium trim will be sold exclusively by Goulet Pens. 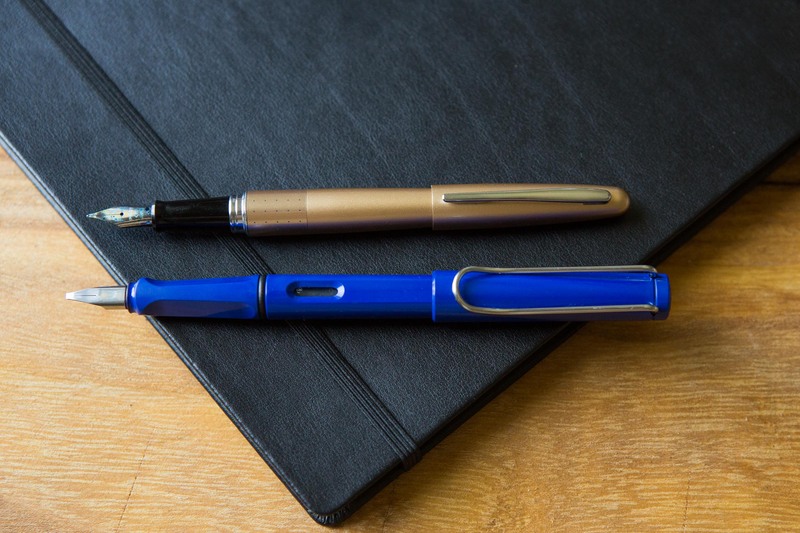 This finish is limited to only 20 total fountain pens (though numbered out of 18, including the use of numbers 0 and 00). Individual numbers are offered upon request, as they’re available. 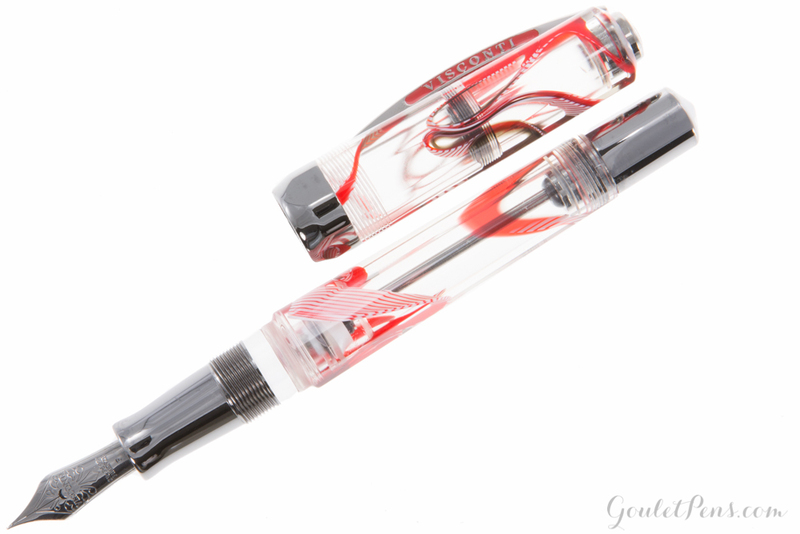 In 1998, Visconti applied for the Italian patent for its Double Reservoir Power Filler, a unique filling system that allows a massive ink capacity and safe usage during air flights. 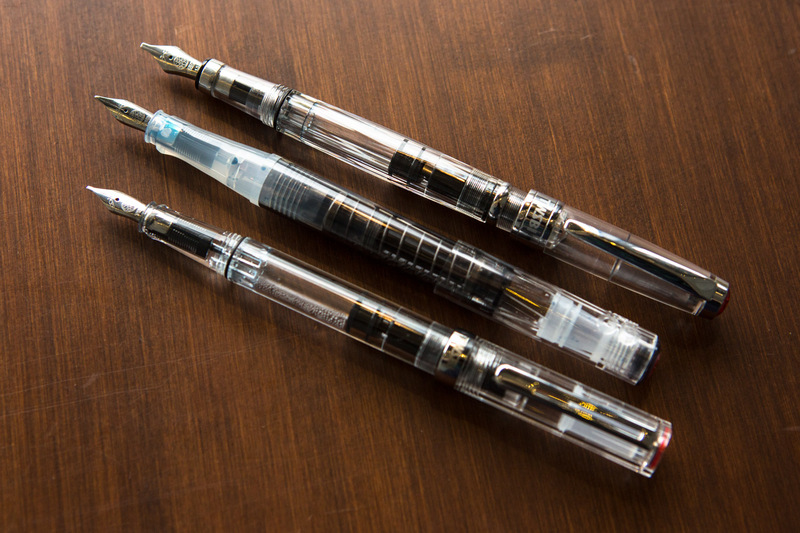 Similar in operation to vacuum-filling pens (such as the larger Visconti Homo Sapiens), the Opera Master fills with a 3.4ml ink capacity in the sealed ink reservoir. Unique to this design, there is a second reservoir in between the vacuum seal and the pen’s feed that holds about .6ml, the size of a typical standard international short cartridge. 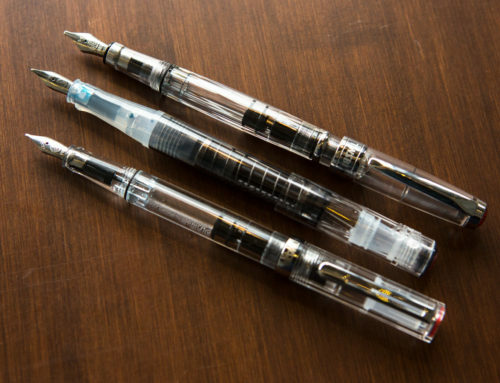 Effectively, what you end up with here is the ink equivalent of a standard international cartridge that you can use to write (without having to unscrew the filler knob like you do with most other vacuum-fillers), with the contents of an entire pack of cartridges (or the entire Visconti Traveling Inkwell!) in the back of your pen. 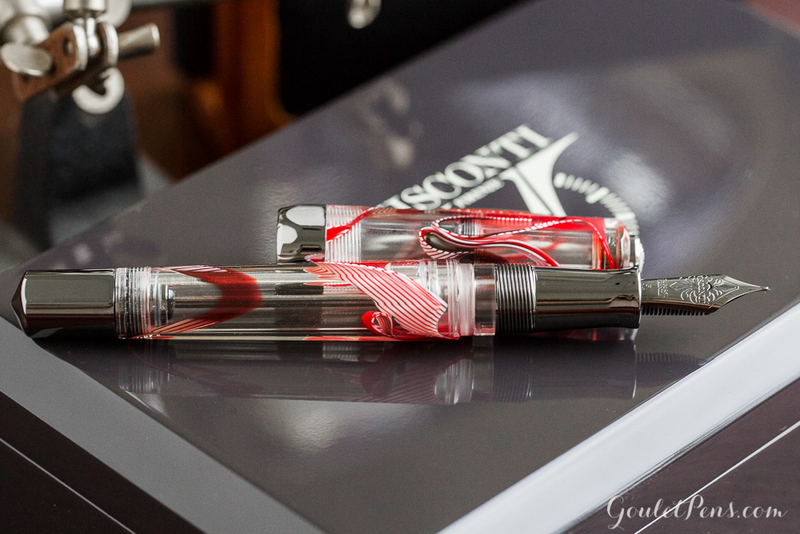 Utilizing this revolutionary Double Reservoir Power Filler, Visconti created the Opera Master Demonstrator to allow an appreciation of its fine components as well as an unobstructed view of the ink in its clear resin barrel. Every pen is polished twice: externally and internally, to give just the right finish to the acryloid. Acryloid is a resin blend between natural celluloid and acrylic resin, to get the best features of both materials. The celluloid component feels slightly warm to the touch and polishes very smooth, and the acrylic component offers stain-resistance and durability. 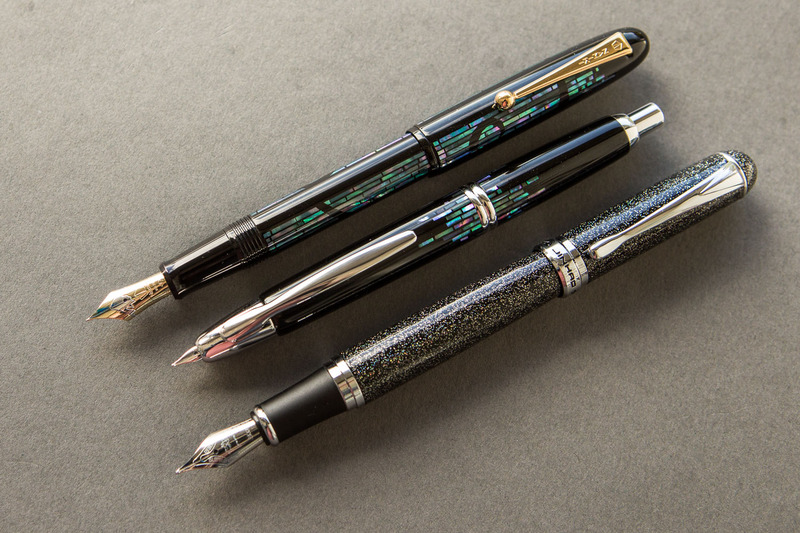 The Opera Master carries the large 23k Palladium Dreamtouch nib, which writes remarkably smooth and quite wet. Palladium is a precious metal in the platinum family, and is soft like a gold nib with a springy feel and some slight line variation when written with varying pressure. Palladium is typically a component in white gold alloys for jewelry applications and is actually quite rare in nature. The Black Ruthenium trim finish comes with a large ruthenium-plated 23kt palladium nib. The Opera Master will be available in extra-fine, fine, medium, and 1.3mm stub nibs. With a total weight of 60g (2.12oz), the oversized squared-circle barrel feels authoritative in your grip. You read that right, it’s 60g, the heaviest pen that I have ever owned! The arc-shaped clip resembles the Ponte Vecchio bridge in Florence and is accented with the trademark Visconti name patterned on the sides. 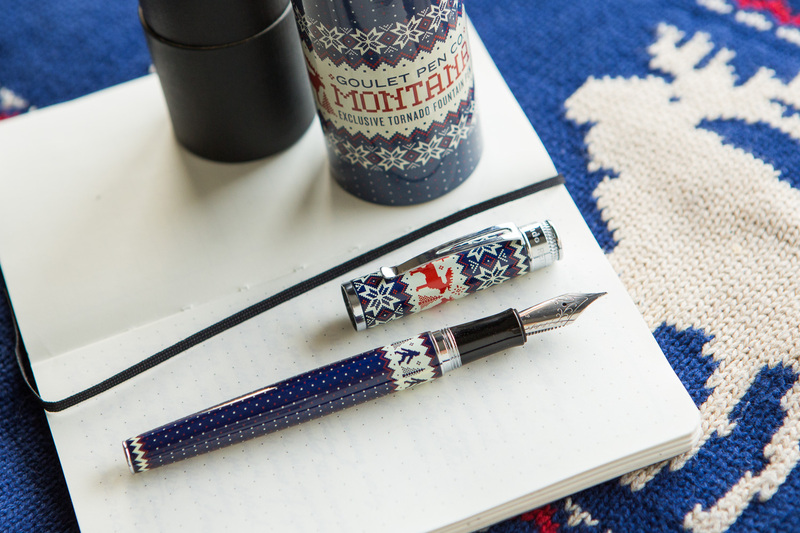 The nib is artfully crafted with a crescent shaped breather hole and has a beautifully carved Visconti name and emblem. 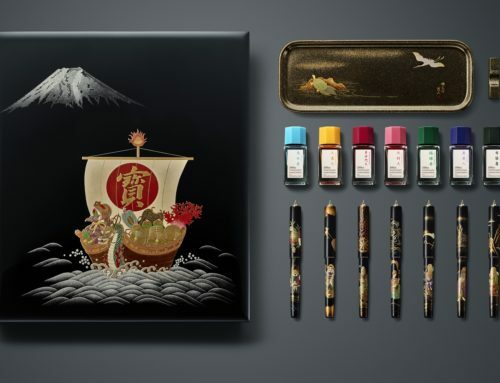 It comes in a beautiful pen case befitting of such a prestigious pen, as well as a free Visconti Dreamtouch Leather 2 Pen Holder gift with purchase (an $80 value). 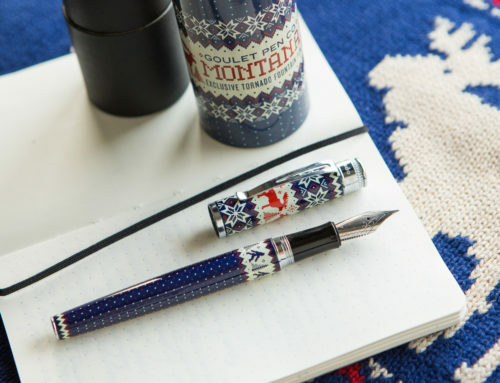 Visconti writing instruments are handmade in Florence, Italy in a 15th century villa. 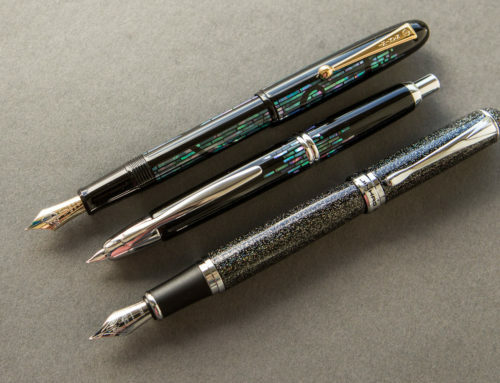 They are entirely designed and hand-crafted in Italy, and we’re honored to be able to offer these to you at GouletPens.com for $995. Because of their limited nature I can’t say how long we will have them, but currently we still have the black ruthenium trim in stock. 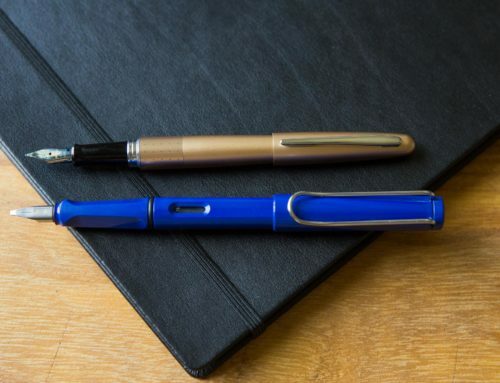 Let me know what questions you have about the Visconti Opera Master in the comments below.